If anything, this data revision by the government, which shows that the growth during the UPA years is even lower than the growth in the past four years, is hard to reconcile for one reason -- the first UPA government witnessed tremendous economic tailwinds. The GDP growth controversy is unlikely to die out any time soon. How otherwise do you explain such radically different growth numbers, while doing the back calculation after the new series? Especially as the National Statistical Commission calculations, which had been briefly released by accident and then were hastily withdrawn, had worked out very different growth numbers. If anything, this data revision by the government, which shows that the growth during the UPA years is even lower than the growth in the past four years, is hard to reconcile for one reason - the first UPA government witnessed tremendous economic tailwinds. It saw a surge in global GDP growth, a rise in asset prices, and a much higher investment rate. It had problems yes, but nothing like the ones we are likely to face going forward. So what explains the revision of the data, which shows the UPA years in much poorer light especially when the NSC back calculations showed a much more flattering picture? The notes at the bottom of the release by the CSO as well as the explanation in the NSC report give a large part of the answer when they are put together. 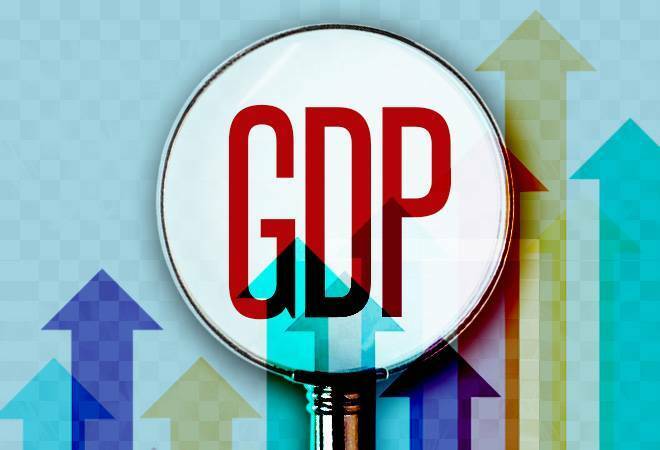 First, the easy and non-controversial part - as everyone knows, the revision of GDP work started by the CSO under then chief statistician TCA Anant not only changed the base year from 2004-05 to 2011-12, it also updated the methodology to be more in line with internationally accepted recommendations. The problems start post that. The new methodology uses a lot of data from the ministry of corporate finance database of corporations (MCA 21) as well as the production shift method, as the National Statistical Commission report pointed out. The issue here is that the MCA 21 was available only from 2006-07. But as the NSC report noted: "While the MCA data is available from 2006-07 under an e-governance initiative of the GOI but not on a comparable basis. For the past years although data was available but was unusable due to issues of taxonomy units or unit reporting problems. The data set stabilised only after 2010-11 onwards." This was possibly a reason why the CSO under former chief statistician TCA Anant only released the back calculation till 2010-11. When the NSC headed by Dr Sudipto Mundle worked on the GDP back data, one problem they faced was about the methodology to use. The NSC noted that there were three broad choices. One, to use the production shift method. Two, to use the databases like MCA 21 wherever available. The third one was to project the old series forward, till say 2014-15, calculate then adjust to the 2010-11 base using the new methodology. However, the third approach was not attempted. The NSC committee noted that because the methodology change involved both new data sources (MCA 21) as well as a shift in the production curve, a simple splicing of data to generate the back series would not work. On the other hand, MCA 21 - which forms the basis of the entire corporate sector growth estimates - was not particularly stable before 2010-11 and simply did not exist before 2006-07. So the NSC had used CMIE corporate database to back calculate from 2010-11 as a proxy of MCA 21. That apart, the NSC tried to take into account other issues like a shift in the production curve, and made sure that the methodology was statistically robust. One of the things the NSC report noted was that the methodology they were using was superior to simple splicing of data. Now, consider the differences in the calculations officially released by the CSO and Niti Aayog. The release points out: The methodology for preparing the back series estimates for the years 2004-05 to 2010-11 is largely same as the methodology followed in the new base (2011- 12). In certain cases, owing to the limitations of the availability of data, either splicing method or ratios observed in the estimates in base year 2011-12 have been applied. Splicing method has been applied for preparing the estimates in the construction sector entirely and applied partially in agriculture and allied sectors, gas, trade, repair, hotels and restaurants, real estate, ownership of dwelling and professional services, public administration and defence and other services. There are other differences. Telecom data for example has been moved from number of subscribers to number of minutes consumed. Then, the NSSO rounds used for tertiary sector, too, has changed. In all, the data sources have been either changed completely or various assumptions have been made. The readings of both the NSC methodology and the current CSO methodology for calculating the back series show that there is simply no comparable data that can be used before 2010-11. Hence, any calculation becomes an exercise in assumptions and alternate data sources for estimates. Whether it makes sense to take the CSO's just released data at face value therefore becomes a choice. You can either use it, despite its various infirmities, simply because it has an official stamp of approval. Or you could say that without comparable data sources, it is simply too full of assumptions to take seriously before 2010-11.